Citi drops the "bags, shoes and clothes" requirement and will now award 10X on all online transactions...with a handful of exceptions. The Citi Rewards card has always been a bit of a strange one for me. 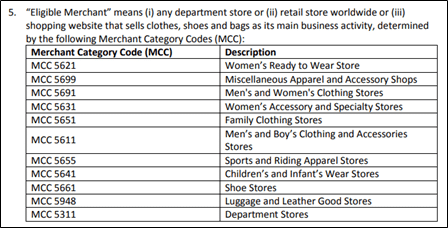 On paper (and in the T&Cs), it purports to offer 10X points (4 mpd) online and offline at “department stores, or stores which sell bags, shoes and clothes as their main business activity”. Bags, shoes, and clothes. Sort of. And yet, it’s probably the worst kept secret that the Citi Rewards card also gives 10X points on all sorts of things that aren’t bags, shoes and clothes. People have long reported earning 10X on Grab rides and top ups, Points.com transactions and the Comfort Taxi app for example. Is this accident or design? Who knows. 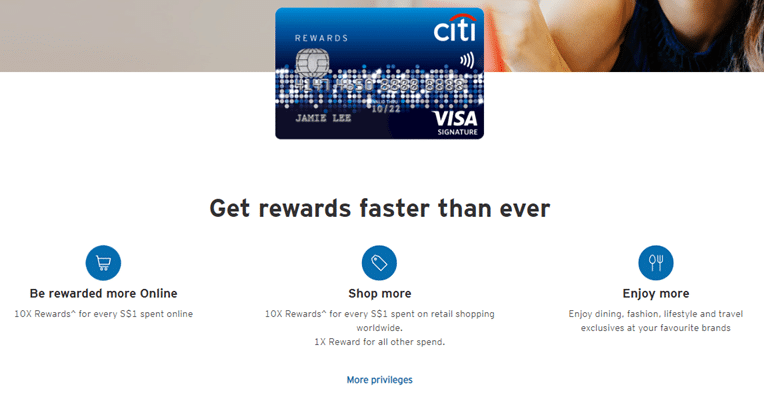 So in that sense, Citi’s enhancement (and it really is an enhancement) of the Citi Rewards card is welcome, but not that surprising. In that sense, the DBS WWMC remains a superior card for online spending. However, it also has an income requirement of $80K per annum, so if you don’t meet that threshold than the Citi Rewards card ($30K per annum) is a good substitute. The other implication of this change is that you’ll no longer be able to use the Citi Rewards card to earn 10X points on GrabPay top ups. It seems that banks are really starting to crack down on GrabPay (case in point: BOC), although the silver lining is that Grab Rides and GrabFood transactions have a different MCC from GrabPay, so you should continue to earn 10X via the Citi Rewards card going forward. The same change will apply to the Citi Rewards Mastercard, so if you hold both cards you’ll be able to enjoy 10X on online spending for up to $2,000 in total each month. The revised T&C can be viewed here. 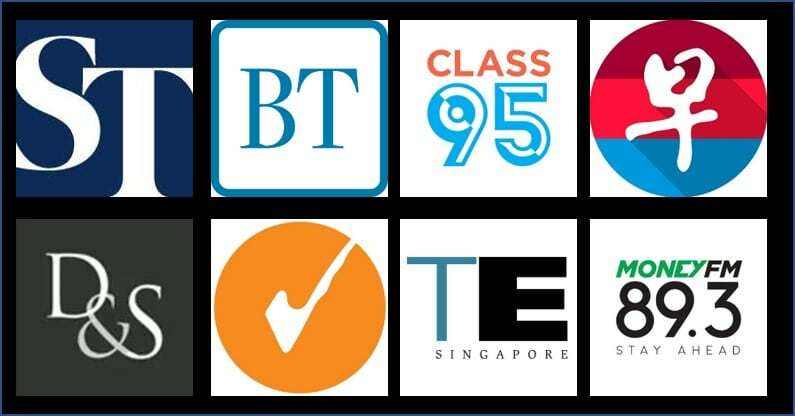 This is a welcome move by Citibank, not least because Citi ThankYou points are one of the most valuable points currencies to have in Singapore. With the most transfer partners of any bank in Singapore, you can access both the usual Asia Miles/KrisFlyer as well as more “exotic” programs like Turkish and British Airways. You’re going to want to note that Citi points do not pool, however. If you have a Citi Prestige and Citi Rewards card, for example, you’ll need to pay two separate transfer fees when converting points to miles. A reminder that if you’re looking to sign up for a Citi Rewards card, you can do so via the SingSaver #whatsnext campaign, and get up to $200 in Grab/Taka/NTUC vouchers (existing customers get $60). So insurance, utilities, telecom will now earn 10x? Looked at T/C. Did not find any notion of ‘dramatically expanding’ categories. On second page, section 6 lists the same number of exclusions as it was before. I have 2 transactions for online insurance payment which did not get 10x points. Anyone with the same experience? where they say in tnc grab top up excluded ? from MCC grab top up ? Cardup, will it earn 10x with citi rewards now? Oh noo… What card to use to top up grabpay now? One by one removed 4mpd on grabpay. Also does it mean offline cloth is not eligible anymore? Do you reckon points.com transactions no longer earn 10x, Aaron? is mileslife and favepay considered online? 10x possible? Hi all, I’ve made 2 grab topup on 29 March using Citi Rewards and I am still receiving 10x points. Not sure if Citibank will claw it back. Will continue to monitor and update here. Hi CJ.. Citi Rewards MC or VS? Hi, I’m using Citi Rewards Visa. Similarly top up on 3th apr. “online” card in the market. Certain transactions excluded by DBS which I can get 10x from CR. UI functionality and bonus pts update made CR winning over WW. AND the occasional 19X. Clear winner for me. Non travel related win for CR.